Sony has announced that it will significantly boost the PS3’s video playback features at the end of March. It’s great news for PlayStation 3 gamers, who might have been disappointed with last weeks’ very pithy 2.17 firmware update which added no new features at all. The new v2.2 firmware update certainly goes a long way towards enhancing the PS3’s credentials in the world of all-round media hubs. For a start, the new firmware will make the PS3 BD Profile 2.0 compliant, meaning that it will be able to make use of the BD Live features that new Blu-ray movies come with. BD Live lets a player check online every time a disc is inserted to find updated content to download. This can be things like movie trailers and special features like directors commentaries. This extra content will be compatible with picture-in-picture viewing. That’s not all, either. While a previous PS3 firmware update added the ability to create new music playlists, you will now be able to transfer those playlists to your PSP handheld. DivX video playback was added last year, but until now, any individual files over 2GB were not recognised by the PS3. This has now been changed, and these files will now be playable like any other. Bizarrely, one feature that the PS3 has always lacked was a ‘resume play’ option for DVD and Blu-ray discs. This, too, has now been changed. So now whenever you stop a DVD or BD, even if you remove it from the player, the next time you insert it you’ll have the option of starting from where you left off. You will also now be able to use your PSP as a remote control to play back your music files on your PS3 without turning on the TV. And the last main addition is an update to the PS3’s web browser. It’ll now display pages much quicker, and it'll be much easier to download and save files from web pages. Sony says there will be a few more tweaks and upgrades too, but is refusing to spill the beans until the end of the month. "With Blu-ray established as the high-definition optical disc standard, more consumers are ready to jump in and take advantage of everything the format offers," said Scott Steinberg, SCEA’s vice president of product marketing. "Whether you want to download movie extras, send ringtones to your phone, or play interactive games, BD-LIVE will offer exciting new ways to enjoy a Blu-ray movie. With these regular firmware updates and future-proofed technology, SCEA is making the 10-year lifecycle of PS3 possible." 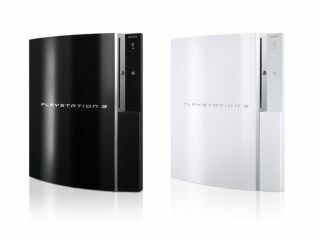 What features do you want to see in the next PS3 firmware update?